Arctic is the region found on the North pole of the Globe and is comprised of almost eight states which includes the two historically major powers of the bipolar world order i.e., US and Russia. The Arctic region was historically under the influence of Russia being closer to it but as soon as the Arctic region started melting, United States has shown its interest in the region. The United States through Alaska is thus linked to the Arctic Ocean. Arctic ocean is rich in minerals, according to a Geological Survey estimate of America, almost 80 percent of the Earth’s Natural resources are present beneath the sea. The United States and Russia has always been in confrontation with each other due to the difference of ideologies and an era of cold war is the best explanation of the hostilities between the two. The hegemony of United States is also not really liked by the Russians similarly the Russian influence in any region of the World is indigestible for the United States. Particularly Russian influence on the new emerging economically and strategically important region has alerted the United States. The Global warming gave present to the World by melting the Arctic ocean. The two main aspects economic and military control are coming forward in which U.S Exxon has already started exploiting the resources on a specific area. But Russia being under sanctions due to Crimean War cannot go for it. These internal resources include much of gas, oil and fossil fuels with many others that can boost the economy of the states. 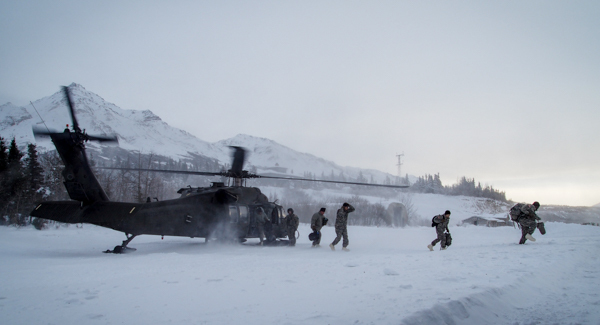 The United States has also started military corps training in the Norway first time after WWII and gave it the idea of mutual training which is, for the researcher, the United States strategy to influence the Arctic militarily so to confront Russia in the future as Norway could have only economically allied with the United States. The Norway’s relations to the Russia are in test now but the United States being hegemon has always gotten priority over other major powers and Norway can feel more secure in this case. The training has elongated for another year (2017) that can be related to the melting of the Arctic Ocean, once it will melt completely the United States will deploy their Navy, the need of ice breakers is now much there than it has and the plan of making new ice breakers has been under work, the cost of which can be in billion dollars. The Sweden and Finland are also thinking to join NATO and with the importance of this region, if they had join hand with United States, the deployments will surely occur in those regions too. The United States has its influence on Canada also whereas Svalbard and Iceland won’t be a threat to it. The intent of roadmap has ensured in the Arctic region as well to promote the stability and national interest of United States. The National interest of the United States can be to get pre-emptive measures in the region so to avoid the second Cold war or the Crises like Cuban Missile between the two states, as this new area can be the battle front for both powers. The strengthening of U.S relations in the region would create a new route to trade and its influence would obviously make it more strong and big trader of the area’s resources. It can also be said that the United States still has security threat from the Russia as if the sanctions melts with the Arctic, the resources will be much under the Russians and it has ice breakers already in large amount as compared to the World. This would be very much concerning and alarming for the United States and for that matter the gunboat diplomacy in the display would be sign of prestige and power. With the passage of time United States would root itself in the region and until the Russia got out of sanctions, the area would be much under the influence of America. The writer is student of MSc-IR National Defense University Islamabad.